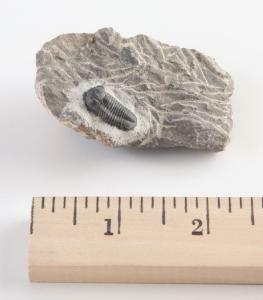 Small complete to nearly complete, well-prepared trilobites on limestone matrix. Good detail for taxonomic study or cabinet display. Average length 3/4 - 1" on 2 x 2" matrix. Excellent value! Morocco.